As California transitions away from mass incarceration, a notorious private prison company has landed a multimillion-dollar state contract to provide inmate reentry services. GEO Group runs private prisons around the nation and is one of the world's largest private prison companies. Dressed in a baggy blue dress shirt and with a confident voice, William Duncan described the role the Contra Costa Day Reporting Center has played in his life. At the time, he was 60 days into the center's mandatory reentry program, after serving five years in state prison. "You can't move further on if you're not thinking correctly," he said during the Richmond center's open house event last fall, referring to what his instructors had taught him. "That's the first thing to do: to learn how to think correctly." Run by GEO Reentry in partnership with the California Department of Corrections and Rehabilitation (CDCR), the day reporting center opened last summer on Broadway in downtown Richmond. A couple months into its operations, the center opened its doors and hosted lunch for its visitors. Blue balloons decorated its entrance and staff members stood in each room, answering questions from county and community stakeholders. While eating a sandwich and speaking with visitors, Duncan sat in a room with the words "Triumph" and "Persevere" emblazoned on the walls. It's the same room where parolees designated as "high risk" by the CDCR meet each day for group classes, covering a variety of topics, such as anger management and substance abuse. The classes are part of a CDCR-mandated program, which aims to help people on parole transition back into the community. The center's staffers say the programming is modeled on evidence-based practices and is proven to reduce recidivism by focusing on participants' "criminogenic behavior," or influences that can lead an individual to re-offend. "They teach you how to manage criminal ways of thinking," explained Duncan. "You don't realize that mind state is where you're sick and that it's a type of an addiction, whether it's street crime or drugs. Once you identify it and accept it, you can change it." At the day reporting center, each participant is required to take cognitive behavioral classes, "because they did something that had faulty thinking to get them into the position they're in," said Amanda Owens, GEO Reentry area manager. She believes the center's presence is a plus for Contra Costa County because it shows that the state is investing in reentry resources for ex-inmates. "It's a privilege. It's an opportunity. And we, as community members, should be grateful for that," Owens said. But not everyone agrees. Some community members and criminal justice advocates are wary of the new center, while others are angry about it. Rebecca Brown, founding director of Reentry Solutions Group, a nonprofit that advocates for criminal justice reform in Contra Costa County, views GEO Reentry's arrival as a dangerous development. That's because GEO Reentry Services is a division of one of the world's largest private prison companies: GEO Group. The for-profit corporation has a record of allegedly mistreating inmates and is the largest provider of community corrections and electronic monitoring in the country. Its chief source of revenue comes from its partnership with Immigration and Customs Enforcement (ICE) to run detention facilities of undocumented immigrants. Brown noted that GEO Group has been targeting a new market — people recently out of custody — and that the company is adding new revenue streams to its prison-industry portfolio. The company also stands to profit handsomely from the reentry business as states like California transition away from mass incarceration. "I'm concerned we have a growth industry that works its way into our community under the guise of a 'continuum of care,' when, in fact, it's another element of the prison system now operating on Broadway," Brown said. Katherine Katcher, executive director of Root & Rebound, a reentry advocacy nonprofit in Oakland, agrees. Her organization provides training and educational resources to help formerly incarcerated people overcome legal barriers. "Mass supervision is not freedom," said Katcher, referring to GEO Reentry Services' intensive programming. "Being mandated to go to a day reporting center where you have to meet with people who are a part of a corporation and corrections at the same time is not the same as meeting with a community-based nonprofit organization that gives you hope and dignity and says, 'We believe in you.'" Reentry advocates also object to GEO's approach to treating formerly incarcerated people. They say that, rather than teaching ex-inmates to "think correctly," the most effective way to help people reenter society is to give them the tools to be self-sufficient. Advocates are also concerned that GEO Group, as a for-profit company, has an economic incentive to keep people in its reentry programs for longer than necessary, because the state pays on a per-person, per-diem basis. Advocates like Katcher and Brown also believe that a huge corporation like GEO Group is not philosophically qualified or equipped to execute reentry services successfully. The CDCR, though, believes otherwise. The Contra Costa Day Reporting Center is one of seven new day-reporting centers that opened across California last summer, under a multi-year contract between the CDCR and GEO Group. It includes another Bay Area location in Solano County. In recent years, negative press and wrongful death lawsuits, including accusations of insufficient medical care and poor living conditions, have dogged GEO Group, most notably with its immigration detention facilities. Yet the company keeps growing; it recently announced a new contract with ICE for 780 beds in Georgia, which is expected to generate about $21 million for GEO. GEO's new day reporting center contract in California comes on the heels of far-reaching reforms of the state's criminal justice system. In response to the surging costs of mass incarceration, federal court decisions on prison overcrowding, and widespread calls for reform, the state has recently sought to "decarcerate." Consequently, there's an increased need for alternatives to custody, including more reentry services. Katherine Katcher (left) of Root & Rebound and Carmen Garcia, a former inmate, strongly question GEO Care's reentry services. Many nonprofits and government agencies have stepped up. But for-profit corporations like GEO Group have also expanded their footprint. "Corporatizing the process of reentry is the last thing we should be doing as a society. All it does is further systemic issues," said Katcher, of CDCR's contract with GEO Group. "We get lip service from our legislature that de-incarceration is happening, and then this kind of decision is made, and it's horrifying." In 2011, following federal court orders to reduce overcrowding in California's prisons, Gov. Jerry Brown signed the Public Safety Realignment Bill, or Assembly Bill 109, now referred to simply as "realignment." Realignment transferred responsibility for nonviolent offenders from the state to the county level in an effort to slash the state's prison population. Then in 2014, California voters approved Proposition 47, reducing several low-level crimes from felonies to misdemeanors, such as petty theft and possession of a controlled substance. As a result of such reforms, the state's prison population has declined significantly. According to a report last month by the nonpartisan Public Policy Institute of California, realignment cut the state's prison population by about 27,400 people in its first year. After the passage of Prop 47 and other criminal justice reforms, California's prison population plummeted by a total of 24 percent — 42,300 people — from its peak in 2006. Krissi Khokhobashvili, spokesperson for the CDCR, said realignment and other reforms required a wide range of different reentry needs. "Our population has changed, and we have seen a higher need in reentry services, and that's why we've seen an increase in the number and types of transitional housing and reentry facilities that we've opened," said Khokhobashvili. "In recent years, there's been more of a focus on rehabilitation and an increase on the focus on reentry so that rehab doesn't just stop when you're done with prison." GEO Group has quickly pounced on this shift. In addition to its GEO Corrections division, the corporation established a new brand in 2012 called GEO Care. Through acquisitions of smaller companies and continued growth, this division includes a variety of community correction services, including residential youth treatment, electronic monitoring, re-entry facilities, and day reporting centers, such as the one in Richmond. In GEO Group's 2016 annual report to shareholders, the corporation announced that it was doubling its annual commitment to $10 million to expand the delivery of such post-release support services beginning in 2017. GEO Group CEO George Zoley asserted at the time that "these industry-leading efforts underscore our continued belief that, as a company, we are at our best when helping those in our care re-enter society." But the American Friends Service Committee, a faith-based social justice organization that works on a variety of human-rights issues, including prisoner advocacy, refers to this growing trend as the "Treatment Industrial Complex." The group argues that decarceration also gives corporations the opportunity to continue profiting from individuals they've detained after they're released. Dalit Baum, the committee's director of economic activism, said that the very nature of how GEO Group generates profits should be a red flag. "The for-profit model of these companies stands in contra[st] to social goals," she said. "Because these companies are paid per diem, per person, they have a motivation to do what we call 'net widening' — to get as many people under the boot of the system in the harshest form of control and surveillance, for the longest time." Caroline Isaacs, program director of the group's Tucson, Ariz. office and a prison-privatization expert, argued that GEO Group's approach "is more marketing than substance" on the part of the private industry. "They're selling whatever they think the state is buying," she said. Monica Hook, vice president of strategic marketing for GEO Care, responded that the company's treatment programs are "not profit-motivated," and instead are tailored for individuals based on assessment tests. "We are held accountable by the agencies that we work with." Corporate records show that, in 2016, Florida-based GEO Group reported $2.18 billion in total revenue, with nearly half of it coming from its government contracts. Nearly one-fifth of this came from the GEO Care division, which is smaller by comparison, but continues to expand. For years, GEO Group has also come under criticism by criminal justice and human rights advocates who say the company has compromised the quality of care and failed to properly train staff in order to achieve cost-reductions, resulting in dismal and dangerous conditions at GEO's detention facilities. A group of immigrants detained at the ICE facility in Aurora, Colorado, sued the corporation for allegedly violating the Trafficking Victims Protection Act in 2014. The lawsuit alleges that GEO Group coerced detainees to work for free, under the threat of being thrown into solitary confinement. On Feb. 9, a federal appeals court cleared the way for a group of nine detainees to move forward with a class-action suit — representing over 60,000 people — against GEO. In 2017, three people died at Adelanto Detention Facility, one of GEO Group's ICE detention centers in California. As reported by Mother Jones, one immigrant died from internal bleeding, another committed suicide by hanging, and another collapsed while playing soccer at the facility. GEO officials interviewed for this report declined to answer questions about the company's detention facilities. But in a statement to CBS4 in Denver regarding the class-action case, GEO officials said they planned to defend against the claims and that the "voluntary work program" at the center of the suit is directed by the federal government. 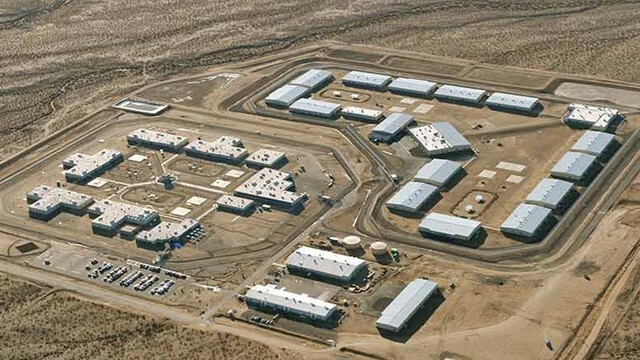 And in a Los Angeles Times report about the alleged mistreatment of detainees at the Adelanto facility, GEO Group officials said the company was handling issues there "with the utmost seriousness" and that it will "implement prompt corrective actions" when necessary. During the Obama administration, top Department of Justice officials grew increasingly concerned about privatized corrections and its numerous problems. In August 2016, then-Deputy Attorney General Sally Yates instructed the DOJ to end its use of private prisons and reentry centers, after investigations found such facilities to be less effective — both in terms of safety and security — than those run by the government. It was a blow for GEO Group. According to Newsweek, the day after Yates' announcement, GEO's stock fell from $21.53 a share to $13.01. However, after Donald Trump took office, Attorney General Jeff Sessions rescinded Yates' decision and GEO's stock prices soared. (Trump also fired Yates after she refused to implement his Muslim travel ban.) Both GEO Group and its main competitor, CoreCivic, each donated $250,000 to Trump's inauguration festivities and spent more than $1 million in political giving during the 2016 presidential election. In late 2017, ICE issued what's called a request for information for new detention sites in Chicago, Detroit, St. Paul, and Salt Lake City, indicating the Trump administration's intention to build five new immigrant detention centers across the country (a similar request was sent out for South Texas the previous month). GEO Group, which already pockets $32 million a year from ICE and the U.S. Marshals Service, would stand to benefit from this expansion as well. Since Trump became president, the corporation's stock spiked to $34.42, its highest yet. In its latest financial results, GEO reported a total revenue of $569 million for the last quarter of 2017, up from $566.6 million from the year before. Last week, the company's stock value hovered at about $20. GEO Reentry's multi-year contract with the CDCR to run the seven new day-reporting centers in California is modest in comparison to its large federal contracts but is by no means insubstantial. GEO Reentry will earn a total of $26 million over the three-year term. The agreement, which will come up for potential renewal in June 2020, includes centers in San Diego, Los Angeles, and Orange counties. The Contra Costa Day Reporting Center in Richmond comprises about 10 percent of the total contract. With a capacity of 30 parolees, GEO Reentry makes about $74 each day for each former offender who walks through the doors of its Broadway location. But this isn't the first instance of GEO profiting off of the formerly incarcerated population in the Bay Area. GEO Reentry also runs the Taylor Street Center, a transitional housing facility in San Francisco that's been in operation for over 30 years. Located at 111 Taylor St. in the Tenderloin district, it's a residential center that serves both federal and state parolees, including serious and violent offenders. According to Katcher, Root & Rebound's legal defense hotline receives many calls from people who have stayed at Taylor Street Center, complaining about their experiences under GEO's supervision. Though the operation is different from a day reporting center like the one in Richmond, Katcher said the experiences at the San Francisco facility illustrate GEO's troubling corporate philosophy and reentry approach. Marvin Mutch, who was released from San Quentin state prison in February 2016 after serving 41 years of a life sentence for murder — for which he maintains he was wrongfully convicted — said the terms of his parole mandated that he stay at GEO's Taylor Street Center for six months. Mutch is now a passionate criminal justice advocate and works in different capacities for prison reform and prisoner rights — something that he started while still incarcerated. As a policy consultant for Root & Rebound, he is also concerned about the privatization of reentry services and is critical of Taylor Street's efficacy. Mutch said many of the required group classes and treatment were unnecessarily time-consuming and hindered people's ability to find jobs or continue their education. "It's so important that we reintroduce these guys and bring them back into the fold in a legitimate way," he said of ex-inmates. Another former lifer, Mark M., who stayed at Taylor Street Center for 10 months after serving 36 years behind bars asked: "When does the self-help end and the living begin?" The sentiment was echoed by other participants like Carmen Garcia, who served the remainder of her federal prison sentence under GEO Care's supervision, including living nearly six months at Taylor Street. 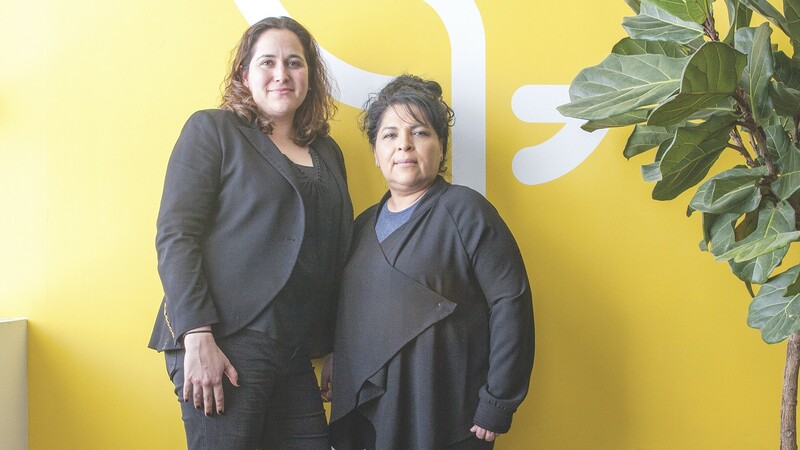 "It was troubling, because I couldn't take this class at City College, because I had this other 'life skills' class that I didn't need and that I'd already taken time and time again," Garcia said. "It's mandatory, because what they can say is, 'If you don't take these classes, you're going back to prison.'" Maria Richards, facility director at Taylor Street Center, defended the group's classes, saying they're designed to provide curriculum that participants can apply to their lives outside of jail. "While they're in custody, they're not really practicing a lot of those skills," said Richards, explaining the necessity of repeating curriculum participants had already learned while incarcerated. She added that Taylor Street staffers take into consideration each participant's contract requirements and make an effort to work around their schedules. Other former Taylor Street Center residents shared that promised services at the center — like access to a trained staff, functioning computers, and nutritious food — were below the standards they experienced in prison. "Some of the people they hired may not be up to the task. Seems like they're more concerned with their cellphones than actually running an efficient place," said Mark M. "There's no job assistance. They're supposed to have this computer lab; they don't. They got some old computers down in the basement, and you can't get down there." According to Richards, the company fixed its issues with the computer lab last year. Some Taylor Street Center participants also felt that their successful reentry was attributed to resources and people that they sought on their own, such as therapists and educational programs referred by other formerly incarcerated people. That's in direct contrast to CDCR's belief that mandatory reentry programs are the primary avenue to a successful transition back to the community. "It's really hard to start over again," said Mark M. "All this has kind of made me realize what I'm actually capable of doing. I didn't really believe in myself too much when I got out, but you know, I'm making things happen, and it's going in the right direction." In Richmond, at GEO's Contra Costa Day Reporting Center, Owens said "high-risk" participants require heightened supervision. "Someone is looking out for their best interest," she explained. "Without the program, they're not likely to be successful on their own." A "high-risk" classification is determined by a reentry assessment conducted by the CDCR, explained Khokhobashvili, and it provides directions for the parolee's release plans. She insisted that the CDCR strives to take a "case-by-case" approach to reentry. She said the department conducts risk assessment tests and works with the parolee's case manager. She also argued that a program can still be effective even if it's mandated. "At least you're there, at least you're exposed to the treatment and programs," she said. The length of time that a parolee spends attending programming at the Contra Costa Day Reporting Center varies based on assessed need. According to the CDCR, most parolees that attend day reporting centers receive services for a full year. The curriculum is rigorous and involves a large time commitment: After participants graduate from seven days of attendance a week, from 8 a.m. to 8 p.m., they transition to three days a week, based on "observed behavior." Owens said most participants are mandated by the state to attend. But Isaacs of American Friends Service Committee contends that GEO keeps people in its program for too long. Best practices in the field, she said, are to keep people on the lowest level of supervision for the shortest amount of time. But those practices conflict with GEO's business model, Isaacs noted. "The longer that you can keep people involved and required to do something — show up somewhere, take some kind of class, pee in a cup, whatever it is — then the more money they stand to make off of that," she said. In a green building, directly across the street from the GEO's day reporting center in Richmond, is Rubicon Programs, a nonprofit that has served formerly incarcerated people for nearly 40 years. It's beloved by reentry activists and Contra Costa County officials alike, and the organization had no idea that GEO Reentry was going to be its new neighbor until its sign went up. Although Rubicon Program's officials did not respond to requests for an interview for this report, one employee who asked to remain anonymous criticized the length of CDCR's required commitment at the GEO center. "At least give these guys a chance to go to work, or go to a different program like Rubicon, because we offer the same exact services that GEO does. They almost modeled our whole program," the person said. Katcher of Root & Rebound said GEO's mandatory program is also overly supervised and degrading to participants. And advocates criticize GEO and the CDCR's approach to treating formerly incarnated people as needing to be trained how to think. "These are human beings that we're talking about coming out of prison and jail. These aren't animals. They don't need to be trained or taught. They need to be treated like human beings and given the dignity they deserve," Katcher said. Khokhobashvili of the CDCR defended the state and GEO's approach of seeking to change the "criminogenic behavior" of ex-inmates, saying the programs are tailored specifically to each participant. At Root & Rebound, which Katcher founded, the reentry program takes a "human-centered" approach and has distributed over 40,000 reentry guides to people inside of prison to help give them agency and confidence to navigate resources and seek help as needed after they're released. And Rubicon offers a two-week holistic program that helps participants identify their own workforce barriers and gives them tactical training. Afterward, participants receive coaching to create personal benchmark goals, such as improving their credit scores. In addition, at Rubicon and Root & Rebound, there is no threat of punishment for not participating; it's voluntary and self-initiated. "We expect them to be there, but we know life, especially their lives, are challenging," the Rubicon employee explained. "We try to coach them up and tell them 'This is like a job, this is why you have to be there.' We don't say, 'If you don't show up, we're going to tell your parole officer.'" Brown of Reentry Success Center also criticized GEO and the state for embracing what she described as an outdated way of managing re-entry services. "The notion that parole has to control the environment — the service delivery and control everything about those people's movements — that's a very archaic and regressive approach to rehabilitation," she said. "It's very old fashioned to imagine that the stick is more effective than recognizing someone's internal motivation." Donté Blue, deputy director of Contra Costa County's Office of Reentry and Justice, was aware of GEO Group's reputation before the day reporting center opened. But he echoed Owen's sentiment that the center's existence is a necessity and said it represents a net gain, because the county can only do so much with the resources available. He said that, although the county has an obligation to provide services to all its residents, it has limited funding and a "further obligation to those under our jurisdiction for criminal justice." He also said the county's reentry services were currently focused on county probation only and not state parole. According to Blue, state-funded reentry programs in the Bay Area previously were only in Alameda and San Francisco counties. "We actually see it — to that extent — as a plus that they're putting resources here." Robert Rogers, district coordinator for Contra Costa County Supervisor John Gioia, said it's not within the county's jurisdiction to weigh in on the state's operational decisions. He added that, because day reporting activities are required by the CDCR, it's better that the resource is located locally and accessible to residents. However, there are questions about why nonprofits weren't hired to take on the job instead of GEO Group. Isaacs is skeptical of Blue and Rogers' assertions. "Is the state of California going to invest these funds in the service providers that are best equipped to provide the highest quality or to the company that is best positioned to lobby them for their contract?" she asked. Katcher added that a fundamental reason for why private corporations have filled the demand for reentry services rather than nonprofit organizations like Root & Rebound concerns the current systemic issues in both government and philanthropy. She believes that without a robust, statewide reentry services infrastructure implemented by the state, a collaboration with reentry experts and nonprofits who truly understand the work is nearly impossible. Because of the lack of "creativity or imagination" in government, most "bureaucrats just want to do the same thing every day; they don't want to change," said Katcher. Consequently, nonprofit advocates work in silos resulting in fragmented strategies and limited resources, making it very challenging for them to compete for a large contract like CDCR's multi-location, multi-year day reporting center deal with GEO Group. Additionally, much of the attention on reentry is on the policy level rather than on-the-ground services. Katcher explained that she and her team are in constant talks with private funders and foundations to invest in Root & Rebound's reentry work, but conversations usually end with funders interested in policy reform only. "We have more people than ever coming out," said Katcher, referring to formerly incarcerated people. "There's a huge amount of money going into policy reform across the state and across the country, and we have corporations filling the void of reentry." According to state records, GEO was one of only two bidders that responded to CDCR's request-for-proposals process. The other bidder, Leader in Community Alternatives, is also a for-profit corporation. Isaacs said that GEO Reentry had a serious advantage during RFPs because its financial resources allow the company to respond efficiently. "They have this cookie-cutter contract language or response to RFP language that they can just send out," Isaacs said. "They're incredibly agile that way." When asked about partnering with a private corporation instead of a community-based nonprofit to run the day reporting centers, CDCR's Khokhobashvili said every bidder is carefully considered during the bidding process and is assessed by its qualifications, as well as the needs of the parolee population. "We do definitely take local and nonprofit efforts into consideration and do use them, but ultimately, we have to look at who's going to provide the most effective treatment while also taking into consideration the needs of our population." Khokhobashvili said that there are many factors to consider when deciding who to award the contracts to, including security capabilities, scale, and evidence-based programming. She also stressed that cost was a big factor. Though she named a handful of nonprofits that CDCR has partnered with for reentry services, she acknowledged that private companies have generally been winning most of the contracts. "Private companies can generally handle a larger number [of parolees] and in more locations, so it's pretty common that they run some our larger programs," she explained. Nevertheless, criminal justice advocates like Brown, Isaacs, and Katcher are concerned with the intensive, continued supervision. In Richmond, many formerly incarcerated people are young Black and Brown men, so they worry that CDCR's partnership with a correctional-based corporation is an extension of the injustice the populations have historically faced.